Neymar is on the verge of joining Paris Saint-Germain from Barcelona. On Wednesday morning, Barcelona gave the Brazilian forward permission to skip training and later in the day it emerged that he had asked to leave the club. PSG are expected to pay Neymar's buy-out clause, worth €222m (£198m) and the player will reportedly sign a five-year deal worth €30m (£26.8m) a year after tax. 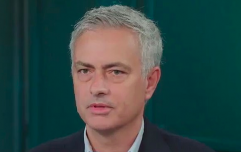 In total, the transfer, wages and bonus payments are expected to cost PSG over £500m, and the transfer will be worth more than double the previous world record fee, when Manchester United paid £89m for Paul Pogba last summer. Neymar will become the world's best paid player, alongside Lionel Messi, and his father also stands to earn an awful lot of of money from the deal. 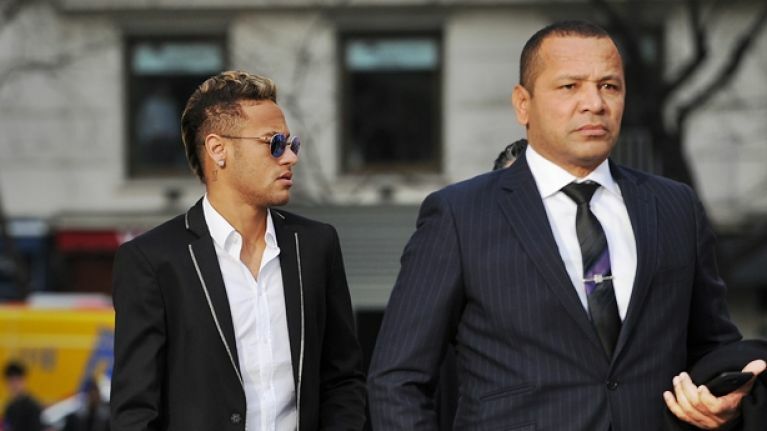 Neymar Sr. reportedly received €10m (£8.9m) when the player signed a pre-contact agreement with Barcelona in 2011, and he got another €40m (£35.8m) in 2013, when his son's transfer from Santos was completed. Last October, when Neymar extended his contract with Barca until 2021, his father received a reported €26m (£23.3m) from the club, for his part in convincing the 25-year-old to keep playing for one of the best teams in the world. In their statement on Wednesday afternoon, Barcelona referred to a "loyalty bonus" that Neymar was due to be paid if he remained at the club beyond August 1. According to reports last week, Neymar's father is also due to receive €27m (£23.3m) from the club, another payment for his role in his son signing a new contract last October. This clause was said to be the reason why the transfer to PSG has been delayed. Neymar Sr reportedly asked the French club to delay formal negotiations until after July 31. If Neymar had left before that, Barcelona would have been under no obligation to pay his father the commission. There are now reports that the Catalan club will now try to withhold that payment. However, even if Neymar's father doesn't get that money from Barcelona, he is due to make at least 10%, €22m (£19.7m) of the transfer fee PSG will pay. If he does get that payment, Neymar Sr could end receiving €75m (£67.2m) from deals involving the player over the past year. Neymar's Dad has received more money from Barcelona than Messi has in the last 4 yrs. Everything that is wrong with football in one tweet.